Elementary teachers are faced with the challenge of teaching a wide range of subject matter during the school day. We plan , prep and teach lessons for reading, writing, math, science, social studies, spelling, and grammar. It's a lot!! I don't know about you....but I sometimes struggle to find ways to teach all of that in a meaningful way. When the common core was introduced and I had a gander at the language standards that were required....I about flipped my lid. I always did my best to teach language and grammar, but never in a really formal way. It was clear that I needed to figure it out....fast! Language and grammar concepts need to be DIRECTLY taught. 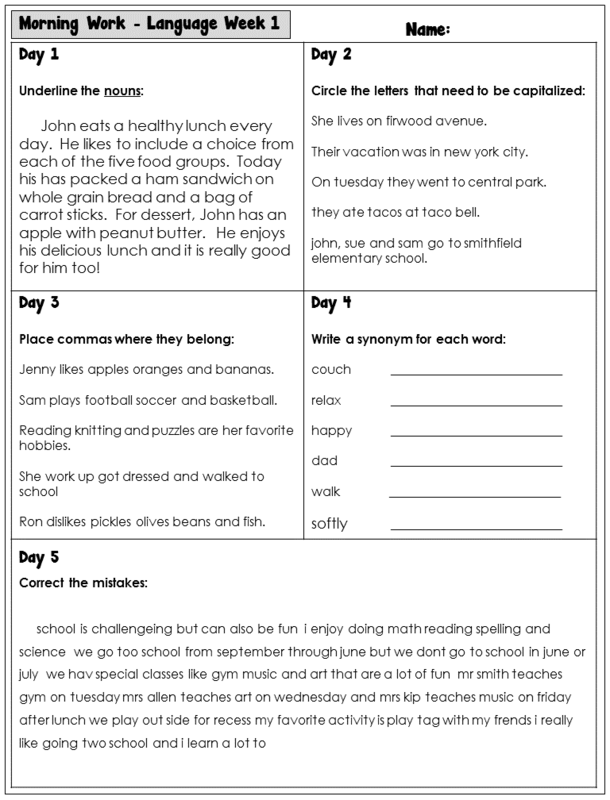 This instruction can be integrated into your reading and/or writing block or as a separate part of your day. If you have a spelling block, you could include language instruction at that time, or you might have to choose which subject is more critical to your group of students. An interactive Language Notebook can be a great learning resource for your students, as well as a great tool for future reference. 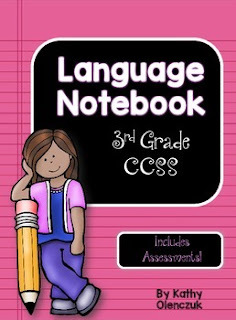 The Language Notebook that I have put together is an all-in-one reference tool for teaching CCSS language standards. 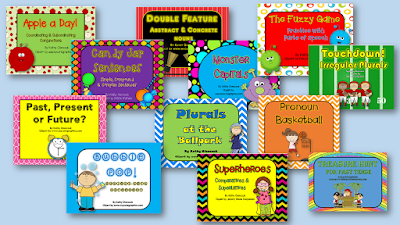 Each page includes a brief, kid-friendly lesson on the concept, shows examples and then gives guided practice exercises. The partner page is a journal prompt that requires students to apply the language concept in a short writing exercise. There is a similar page for each CCSS standard. Each lesson usually only takes 15-30 minutes, depending upon your students and their prior experience with language/grammar. We can usually fit in 2-3 lessons per week. As a bonus...assessments are included to check for student understanding! Of course, students will need review and practice of each concept, multiple times throughout the school year in order to solidify their learning. Students LOVE games, especially interactive games on the Smart Board. 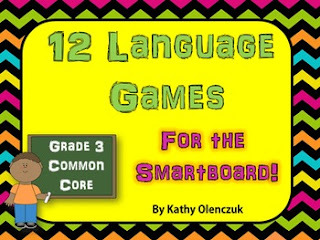 I have created a collection of language games for the Smart Board that are perfect for reviewing the common core language standards. 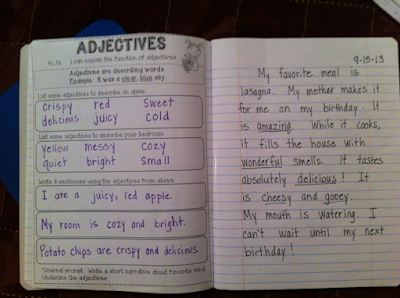 We usually do the notebook page first and then play a related interactive game several times throughout the week. The games only take a few minutes and can be played during transition periods in your day. In addition to these review games, I like to include daily language exercises as part of our morning work. 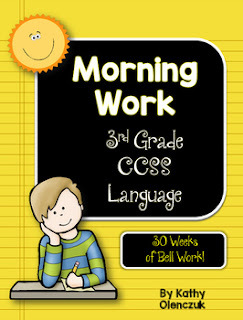 The Language Morning Work pack that I have created covers all common core language standards and is a perfect review of these concepts. One page to copy....and it lasts all week! I copy the language exercise on the front and math practice on the back. Students can usually finish this in 10 minutes. Day 5 is always paragraph practice OR an editing exercise. So there you have it.....THREE ways you can easily cover those pesky language standards in a way that is engaging and effective for your students. Thanks for visiting today. I'd love to hear how you tackle language and grammar in your classroom! Have a great week!